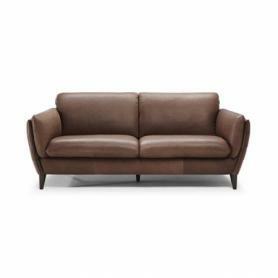 At the forefront of designer furniture, Natuzzi Editions have created one of the most stylish sofas ever produced. Mario, a contemporary design infused with 1960s undertones, offers innovating style, with a vintage feel. A design innovation, this chic objet d'art is conceived for early adopters of new style concepts. 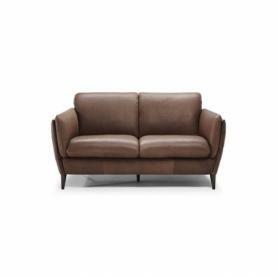 With a fantastic injection of Natuzzi Editions legendary comfort, Coco transcends the decades and revolutions in fashion and will remain a design classic in years to come. 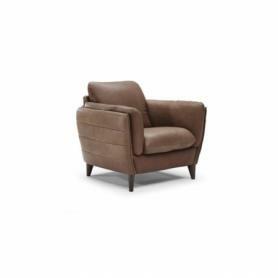 Highly recommended in Madison soft suede feel natural madison leather, brown or champagne semi aniline leathers or category 30 natural leather. Click the PDF icon on the right to download the datasheet for the Natuzzi Editions Mario. Sofas from the Mario range can ordered and tailored to your specific requirements. Available in a range of sizes, leathers and fabrics.